Ci spiace, ma questo articolo è disponibile soltanto in Inglese Americano e Spagnolo Europeo. Per ragioni di convenienza del visitatore, il contenuto è mostrato sotto nella lingua principale di questo sito. Puoi cliccare su uno dei links per cambiare la lingua del sito in un’altra lingua disponibile. Today’s decisions drive tomorrow’s results. Your POS system will be your revenue gateway and your POS partner will be your gatekeeper. So, your POS decision is very sensitive. It is as crucial as the location you select and the people you hire. Changing your POS system if you make the wrong decision is a costly endeavor. If you have never purchased a POS system, it may be difficult to begin to understand what you should look for. Imagine if you had never bought or driven a car before, how would you know what you should look for? Do you have to purchase the tires separately or do they come with the car? Who covers the warranty? How much does maintenance cost? We have created the following simple guide to help you make the right decision independently. It includes questions that you should ask when considering a POS system. We have included our responses as well, but click here for a printable PDF version you can use during your research. 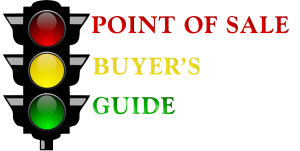 Below, you will also find “How much should a POS systems cost?” and a list of important research articles. 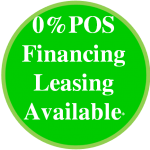 Is the POS company a DIRECT POS provider without any middlemen, agents, or resellers ? Sintel Systems is a direct POS provider without third party agents or resellers involved. There are typically two types of POS companies other than direct. The first are larger companies that rely on independent resellers and the second are one-man operations that put POS systems together by sourcing components. 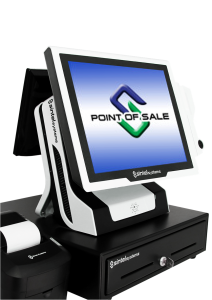 Sintel Systems is a direct global POS provider offering greater services at lower prices. When calling the POS company, are you calling a reseller/agent or talking to the company directly? When calling Sintel Systems, you are directly connected to Sintel Systems. No third parties involved. Who provides the POS and related support services? Are there any third parties involved? Sintel Systems directly provides all POS related support services without any third parties. Who provides the POS software and how close is the company to the software providers? Is the company a TRUE ONE-STOP POS provider? Does the company or third parties provide hardware, software, technical support, warranty, gift/loyalty program, and merchant account services? 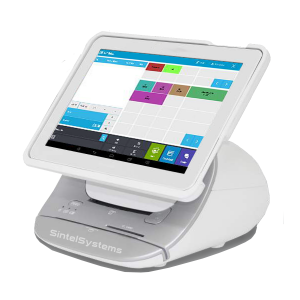 Sintel Systems is a ONE-STOP POS provider with 1. quality hardware, 2. professional software, 3. all inclusive technical support 4. initial and ongoing training 5. mobile-friendly gift/loyalty network 6. merchant account processing from a single point. Does the company charge incidental fees? Sintel Systems offers all of its services through our all inclusive technical support. Sintel Systems does not charge incidental fees. Does the POS company charge for updates or software version upgrades? Sintel Systems offers free updates and software version upgrades though it’s all inclusive technical support plan. We do not charge for updates and upgrades. Does the company repair or replace hardware if needed? Sintel Systems under its warranty and technical support program replaces hardware immediately. Can you accommodate with opening additional locations in other cities, states, countries? Sintel Systems is in all 50 states of the United States and five continents globally. Does the POS company support other languages? Sintel Systems offers POS systems in 11 different languages. Does the POS company offer local installation services? Sintel Systems POS are very easy to install; however, local installation is available. Is the POS company a local company? Sintel Systems is your local global company. We offer services faster than any other local company because we bring the power of a global company to local markets. Does the POS company offer a 100% satisfaction guarantee on the POS and technical support? You can return the POS system for a refund if you are not completely satisfied. You can also cancel your technical support after we configure/set up your POS system, offer you training, and get you going. Does the POS company offer direct integrated merchant account services? Sintel Systems offers directly integrated merchant account services. You call the same POS support line for all your POS needs.